The battle for the skies is hotting up in South East Asia as two heavyweights of the aviation industry as regularly competing for the same kind of passengers. Garuda Indonesia and Malaysia Airlines are similarly structured companies, but which can lay claim to besting the other? Garuda Indonesia (GA) was founded in August 1947 and is national flag carrier of Indonesia. It is named after the Holy bird of Hinduism, the Garuda. Skytrax rate Garuda Indonesia as one of the new 5 star airlines in the business, and since 2014, Garuda Indonesia has been part of the SkyTeam alliance. Malaysia Airlines (MH) commenced operations on 1 May, 1947. It is the largest airline and flag carrier of Malaysia. MH has been part of the OneWorld airline alliance since 2013. In the past few years, Malaysia Airlines has been in the news for the tragic crashes of Flight MH370 and Flight MH17. 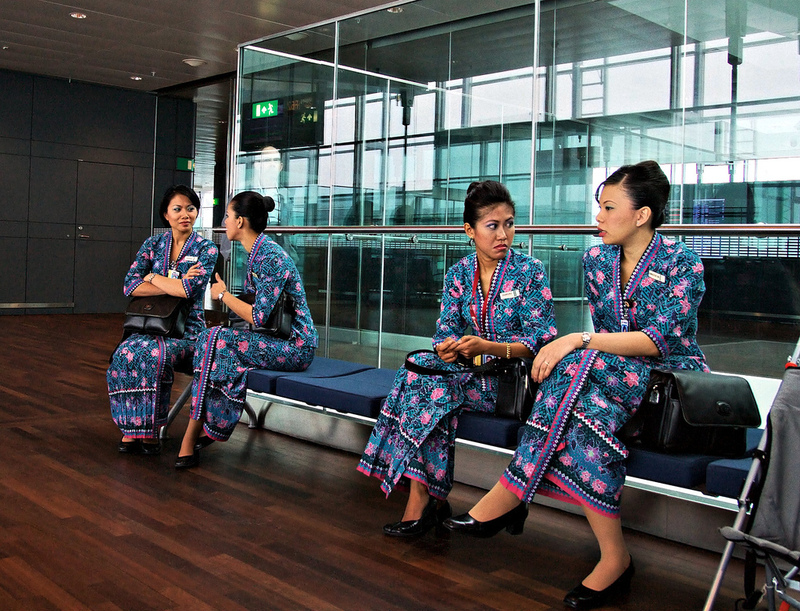 Garuda Indonesia has its main hub at Jakarta Soekarno-Hatta International Airport (CGK). 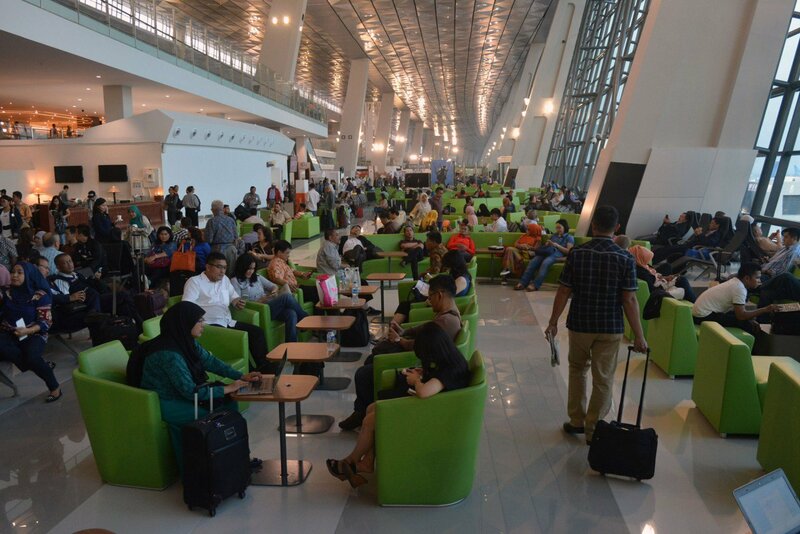 This airport will not win any awards for its access from the city, check-in experience, or peak-time crowd control, yet over the past few years there has been a marked improvement at CGK with the opening of Terminal 3, which provides a much better departure experience. In 2022, Terminal 4 is planned to open, which will hopefully further alleviate the crowds at one of the busiest airports in the world (and busiest of all in the southern hemisphere). Malaysia Airlines’ main hub is at Kuala Lumpur International Airport (KLIA), and it is where its long haul international flights depart. Smaller hubs are in Penang and Kota Kinabalu. 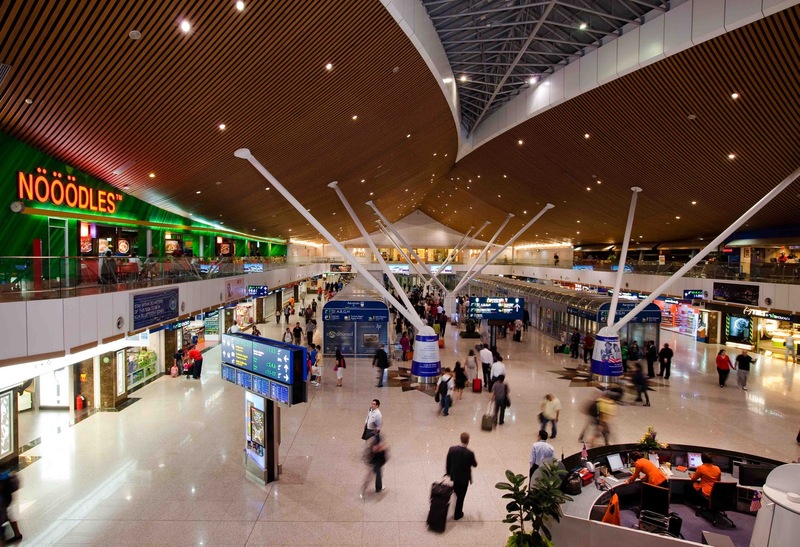 KLIA is one of the region’s better airports, although there has been issues with security in the past. As far as passengers are concerned, the departure and transit experiences are very good, and Malaysia Airlines has many lounges for its premium passengers to enjoy before take-off. Airside, KLIA is relatively spacious although at peak times it does not always feel that way due to an already outdated design. Garuda Indonesia have a very large and varied fleet, but with 24 A330s on the books, this is considered their trademark medium-haul aircraft. Servicing an archipelago, GR obviously need plenty of narrow body aircraft to make quick island-hops, and the bulk of these planes are B737s, of which GR own over 70! Garuda also have 10 B777 aircraft, which are used on trunk routes to Europe and (eventually) beyond. It is surprising that Garuda have not placed any order for ‘modern’ wide-body aircraft such as the B787 Dreamliner or the Airbus A350, but who knows what the future may hold?! Malaysia Airlines have an all-Airbus fleet of wide-body aircraft, and an all-Boeing fleet of narrow body aircraft. In 2017, MH received the first of their six ordered Airbus A350s, and have been flying the A380 “SuperJumbo” since 2012. 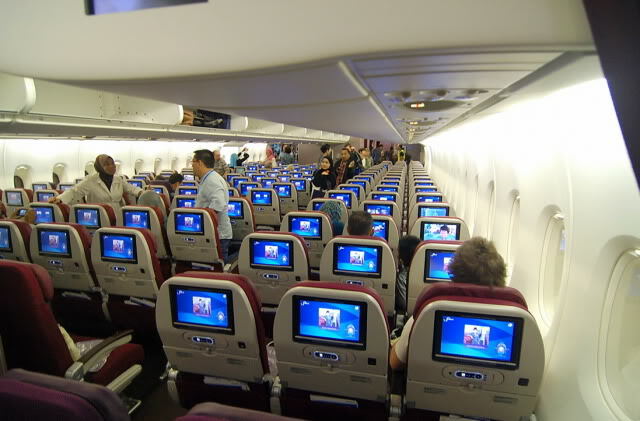 The bulk of the MH, however, is made up of 15 Airbus A330s, each fitted with a new business class interior. A long-time flyer of the B777, MH now stores all of these aircraft (8 in total) in a disused hangar in Kuala Lumpur, awaiting buyers from overseas. With Garuda Indonesia, your flight experience in economy class very much depends on the kind of aircraft on which you are flying on that given day. There is considerable inconsistency in my experience with the comfort values onboard with GA, at least when comparing its international aircraft and domestic aircraft (even the same aircraft model, but with different interior catering to different markets). 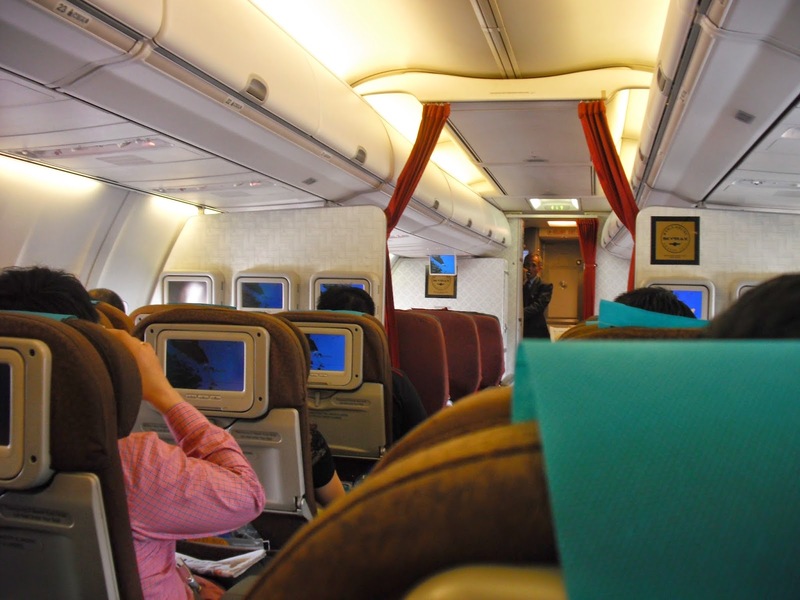 Despite some uninformed misgivings from passengers before experiencing for themselves, the general consensus AFTER you have flown with MH in economy is an extremely positive one. It is true that the new A350 and even the A380 have impeccable standards of presentation in the economy cabin, although older aircraft such as the B777 and especially the B737 narrow-body have outdated seats and entertainment systems. Yet when Malaysia Airlines gets it right, as they do with the newer in-flight products on the A350, you can safely say they are a joy to fly with; even ultra long haul flights from London to Kuala Lumpur cannot get boring. Garuda Indonesia’s business class is known as Executive Class and on the B777 it is situated in the middle of the aircraft. Containing 42 flat-bed seats with 180degree recline ability, it is no surprise that Garuda get very good reviews for this cabin. On their narrow body aircraft to fly around SE Asia and throughout Indonesia, GA have a smaller Executive Class cabin with 12 reclining seats. Malaysia Airlines have their award-winning business class at the front end of the A330 with around 27 lay flat seats/beds, even though these are considered quite narrow at only 20″. There is no first class on the MH A330 so business class always seems to be fully booked with happy passengers. On the Airbus A380, MH has its business class located on the upper deck only, in 2-2-2 formation. With some airlines relinquishing their first class cabins these days, it is surprising that both Garuda Indonesia and Malaysia Airlines persist with the high-end seats, at least on their respective wide-body aircraft. MH have 8 open suites on the A380, whereas Garuda has impressive first class seats on the older version of its B777 (newer versions do not have a first class cabin). 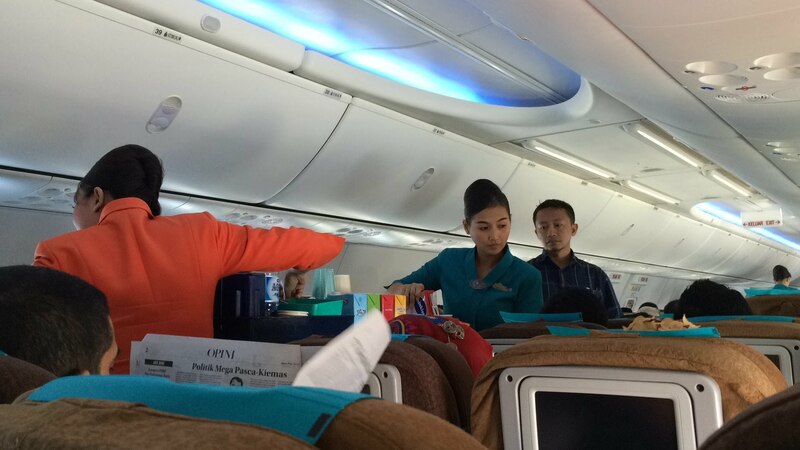 I have always been impressed the cabin crew of Garuda Indonesia. Even in the days when the airline was in much worse shape than it is now, its cabin crew always stood out and provided a great example of Indonesian hospitality and customer service. Now that standards have risen, it could be forgiven that members of GA’s crew sometimes lapse but this is not typically the case. On short-haul flights, Garuda’s cabin crew provide a simple service to complement your quick method of travel, yet on longer journeys, the cabin crew provide a more fulsome (yet in no way imposing) service to contribute to full meal services, menu distribution, cleaning duties, customer queries etc. – all with smiles on their faces. Malaysia Airlines has always been known to have had a very friendly cabin crew, even dating back to the days when it was the same brand as what we now know as Singapore Airlines (before independence). If there was a criticism of MH cabin crew it would have to be a somewhat disinterested attitude on short-haul regional flights and on hops across the South China Sea (to Taiwan and Hong Kong), but this seems to be more of a corporate thing these days with Malaysia Airlines, and I think it is as much to do with a general resignation that not as many people fly with them now compared to 10 years ago as it is with anything else. While Malaysia Airlines get a lot of things right, the one consistent thing they get wrong, in my opinion, is the catering side of things. 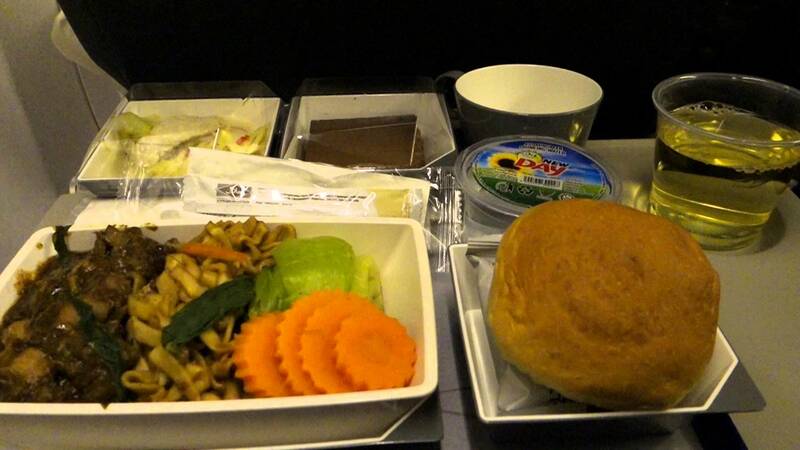 In-flight meals are getting worse and worse on Malaysia Airlines, probably due to budget cuts, and it really shows. On some short haul flights of less than 5 hours, you now only get served a bag of peanuts and a drink, rather than a full meal! That said, MH does look after its economy class passengers on long haul flights, with at least 1 (usually 2 on flights to London) meal services. 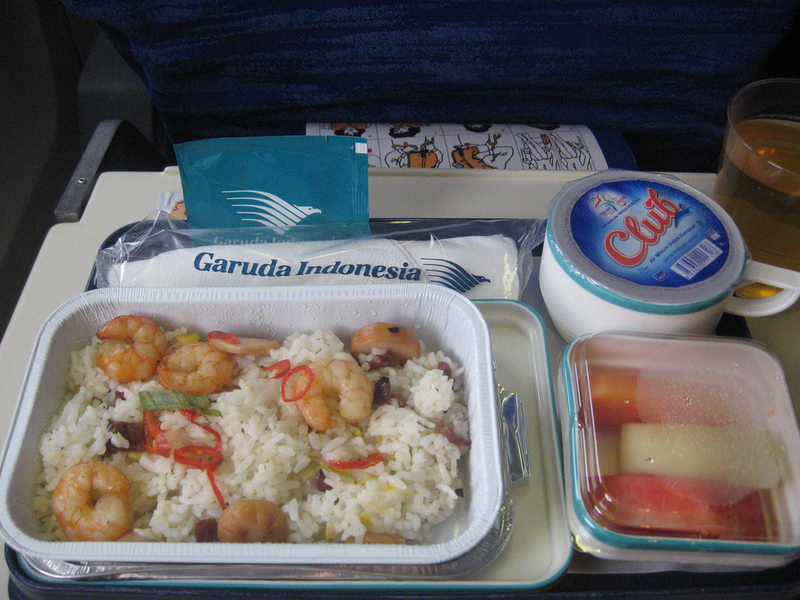 Compared to Malaysia Airlines, Garuda really excels with its food. 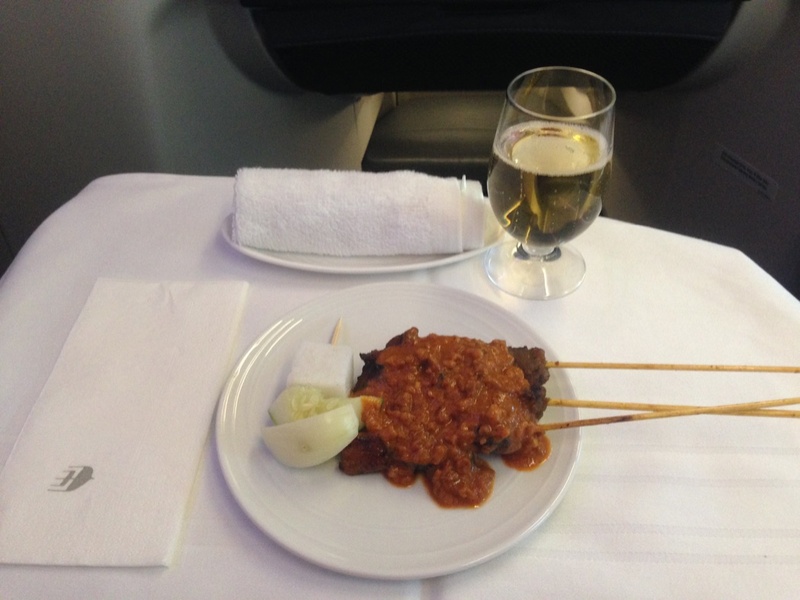 While it is not award-winning economy class food by any stretch of the imagination, you still get offered a nice variety of meals – usually heavily spiced (unless you choose the boring Western option!) – even for short hops across the archipelago (for example Jakarta to Bali). Unlike in its economy class, nobody makes jokes about Malaysia Airlines’ business class catering. Snacks, such as chicken satay, are well cooked and well-presented, and the drinks are readily flowing. 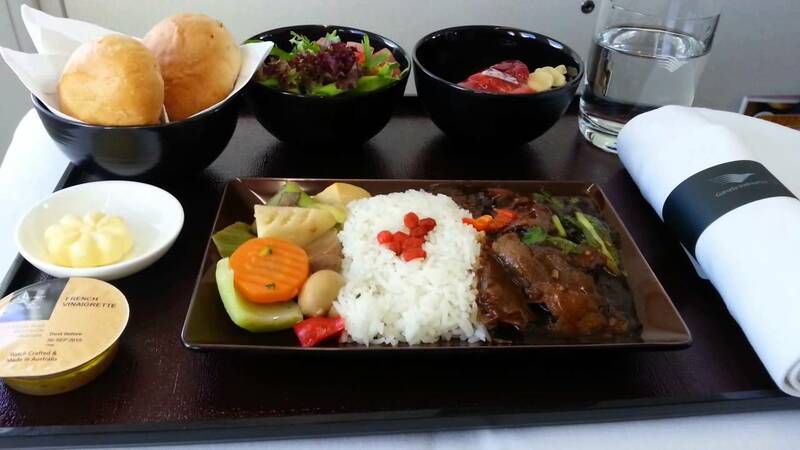 Full meals, available on all flights, are served on china with stainless steel cutlery. It is possible to pre-order the meal when you are buying tickets online at the time of booking. Yet, another feather in the cap of the Garuda is its excellence in its Executive Class meals. Often tinged with more than a hint of Asian influence, Garuda’s premium catering is a joy to savour, with some of the best presentation in the sky. A great selection of wines complements the gastronomic GA experience. When travelling around SE Asia on full-service carriers, you will find fares much cheaper with Malaysia Airlines than you will with Garuda Indonesia. The main reason for this is because Malaysia Airlines has not dealt very well with the influx of budget carriers, such as AirAsia, who are “stealing” their yields. MH cannot charge as much as they used to because travellers can easily choose other options. Garuda has not been affected by that predicament as much so far, and that is why the fares for Garuda are usually a little higher. Are they worth the extra price compared to MH? I think most people would say “yes!” – at least for short and medium-haul flights. On long haul flights of over 7 hours, then it comes down to your personal preference; Malaysia Airlines have the newer aircraft (the Airbus A350 is incredible) but by a whisker it must be said that Garuda has a better overall flight experience. which city of Indonesia you like?